Casein is a slow-release protein derived from cow's milk. 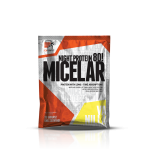 Its gradual release generates a lower absorption rate compared to whey protein but allows for a steady supply of amino acids into the blood and into the muscle tissue for long intervals. 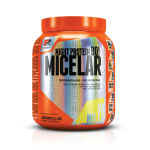 It is ideal for taking between meals and before bedtime. It is low in calories and sugars, has creamy texture and amazing taste. 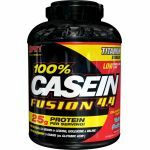 Whether you are an already fit person and just want to further increase your muscle mass or you just want to suppress hunger between meals by supplying your body with a high-quality protein, casein is exactly what you're looking for.